The latest update for Pokemon Go has brought a very special new type of gameplay mode with it: Raid Battles. This mode can offer several boons, mostly by way of rewards for taking out the Raid Boss and rolling in the spoils. But if you’re a brand new player, you may run into some issues when it comes to being able to meet the minimum level requirement that comes attached to joining a Raid Battle. Just like meeting the minimum height requirements for roller coasters at theme parks, you’ve got to make sure you’re at least at the minimum level in order to participate. Perhaps you’re already there and you don’t know what you’re supposed to do to join. In either case, here’s what you need to do if you want to join a Pokemon Go Raid Battle. What’s the minimum Raid Battle level? If you want to join a Raid Battle in Pokemon Go, you’ll need to be a seasoned veteran or go along with a friend who is. The required minimum account level is actually Level 20. That’s pretty steep, especially if you don’t play the game very much, but it’s down from the original requirements of Level 35. Niantic has been steadily lowering the bar, likely because of the complaints out there in the wild about how high the level requirements were starting out. Currently Niantic seems to have frozen the barrier for entry there. How do you join a Raid Battle? First make sure you’ve reached the right level, which at the time of this writing is 20. Then head into Pokemon Go. 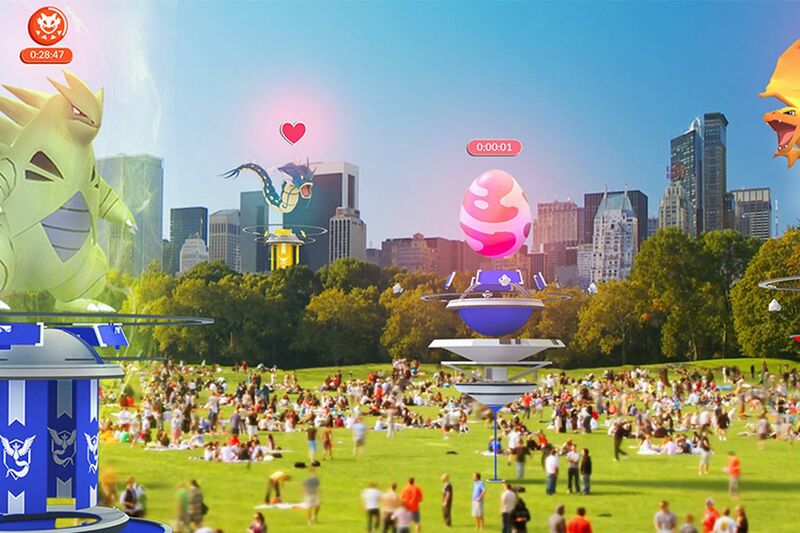 If there’s a Raid Battle taking place somewhere in your vicinity, the app will notify you to make sure you’re aware. If you don’t have any around you, you’ll need to physically travel to one. You could alternatively use the Nearby Pokemon feature in the app to guide you to where you need to go. From there, make sure you have a Raid Pass to be able to join. You can use either a Premium Raid Pass or a normal Raid Pass to participate. Each offer you entry one time into a Battle. Make sure you enter when the Raid Egg icon has counted down to get started. Now you should be able to get into a Raid Battle with no issue, as long as you're at the correct level. Make sure to keep checking back for updates on the latest Pokemon Go news and strategies!